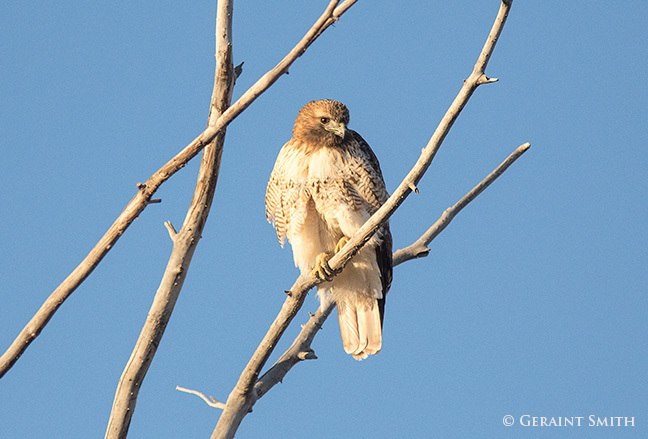 Photo of the Day archive updated daily with images from the American Southwest, Taos, New Mexico, Arizona, Utah, Colorado, National Parks, Landscapes, Wild Life, Nature, People and Architecture. 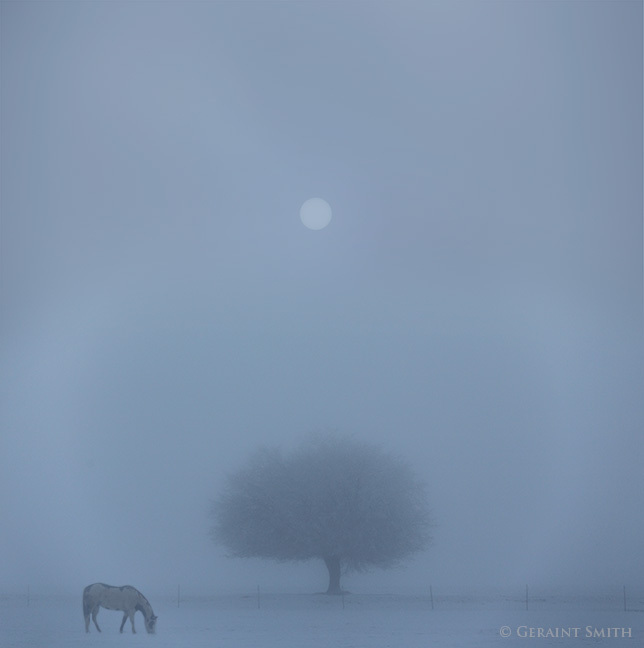 Morning in the cold and frosty valley with the sun beginning to break through the heavy fog. It would be a while before things cleared. In the meantime we get to watch the horse stir itself and mosey along nudging clumps of snow for any fodder. 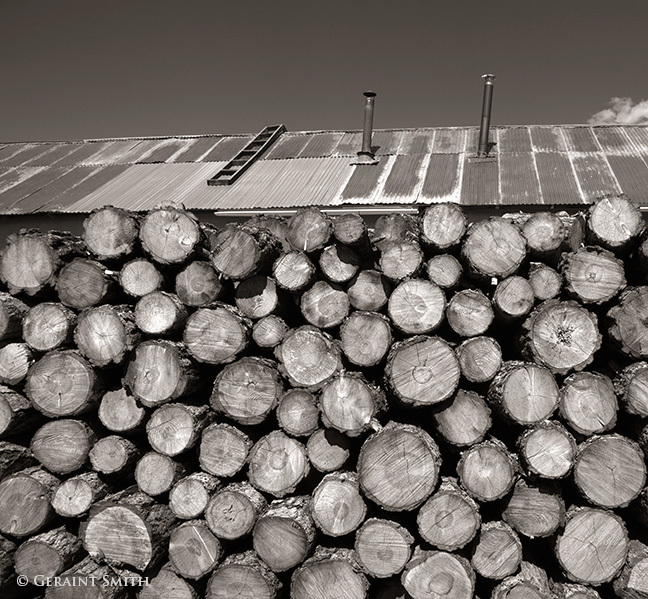 Wood pile as big as a house, Truchas, New Mexico. 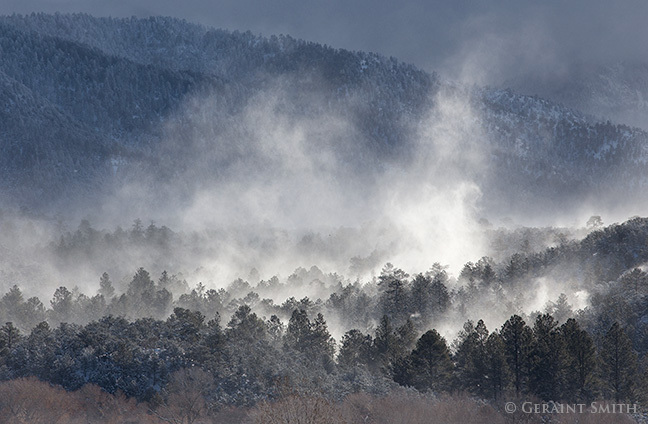 Across the valley to the foothills the snow, backlit by the sun, swirling and blowing, rising and falling a visual morning symphony. 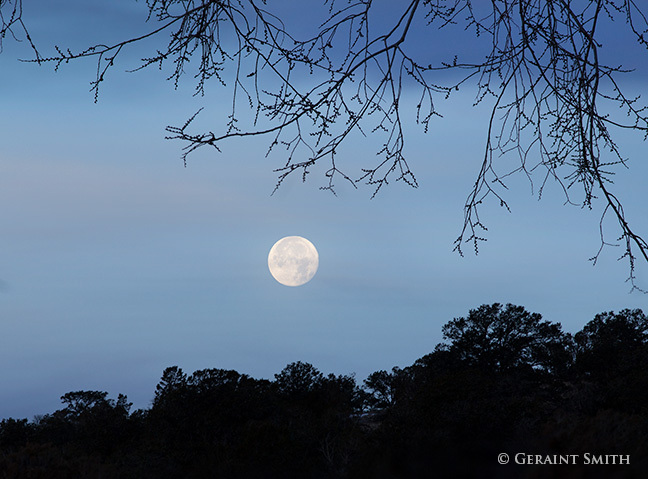 Moon set from San Cristobal NM. 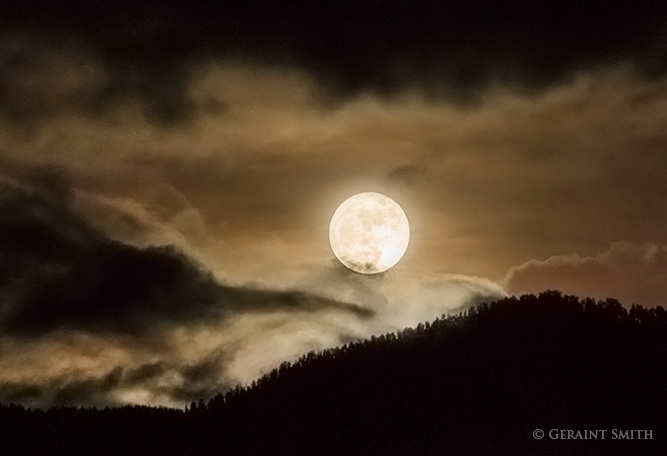 It feels very comforting to me when I step outside in freezing temperatures and simply enjoy watching the morning moon set and know that this is the order of things…. Oh! and make an image! 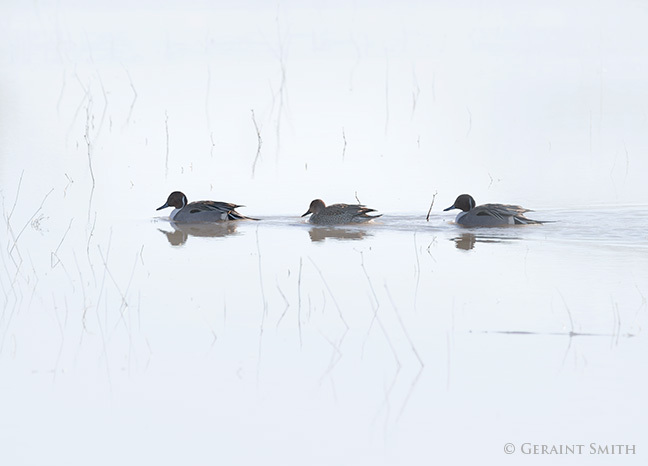 Sometimes I just have to get out of the car and make an image of the highway ahead … where I’m going. Sometimes the image is about what I drive by on my way home. The subject captivated me … it has done so since 2006 when I made some images of this tree … I pulled over this time to explore the scene. I liked the simplicity of the tree illuminated by a shaft of light with a stroke of light on the foreground grasses. Within half a minute of this image the light was gone. Upon reflection, it was a moment of splendid respite, for me to pause and take in the nature around me as I headed home. 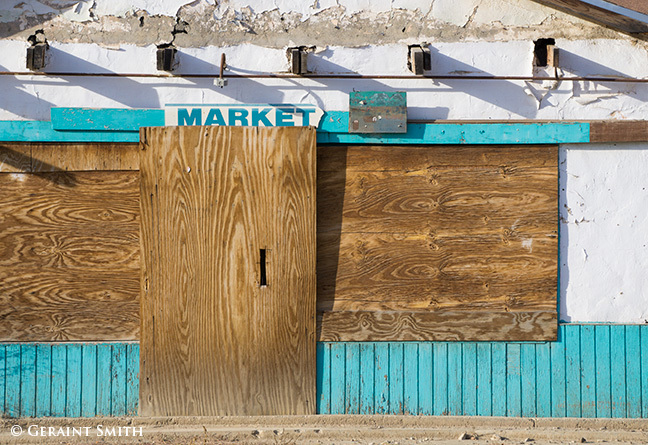 The old market in Arroyo Hondo, dressed in the official state color, turquoise, and glowing in the late afternoon sun. The rock is only a quarter of an inch. The red on the grey caught my eye. I made five images. Each time, by rotating or moving the camera in closer, I eliminated extraneous, peripheral, clutter which was ok in a wider composition but didn’t add anything to the final image I had in mind. 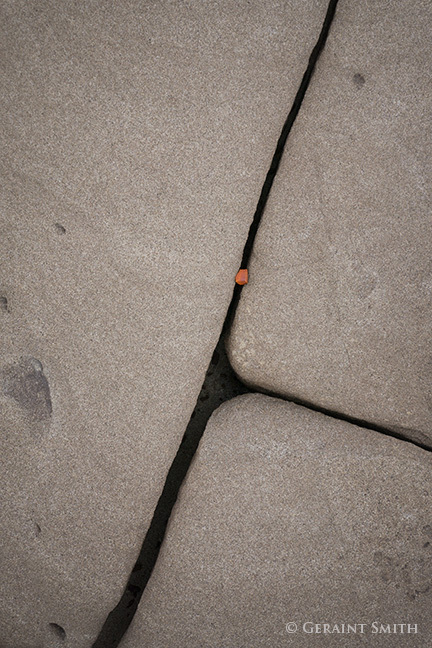 A tiny red rock lodged in a crack, a temporary resting place in the continuing erosion of the badlands in the desert southwest. I was attracted right away to this scene by the five trees and the four fence posts. I like numbers and spacing as a compositional element. 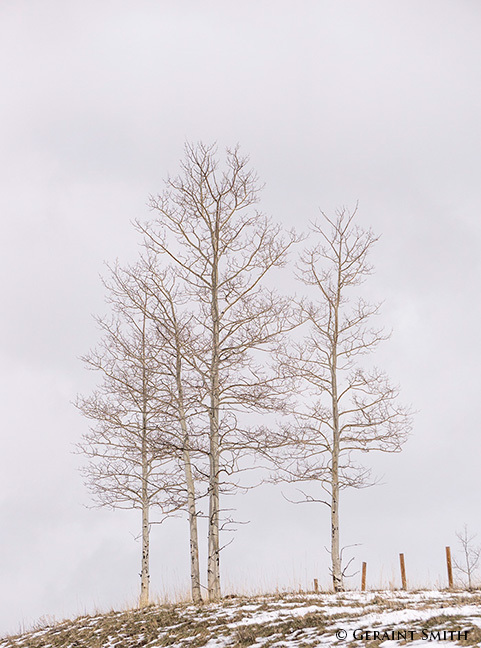 I made this image of the winter aspens near Hopewell Lake in northern NM. 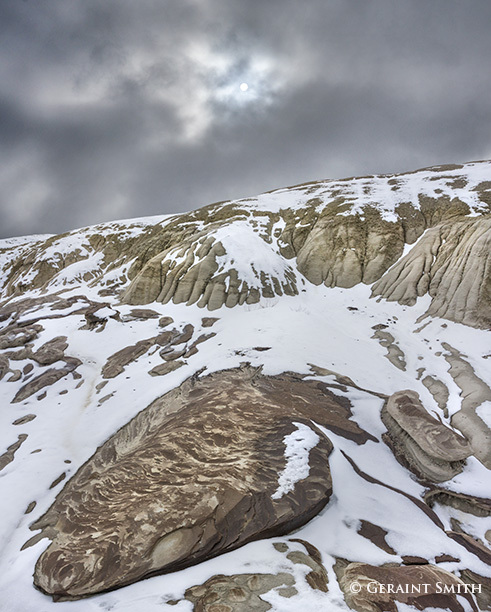 On a two day photo safari photographing winter scenes in the Ah-Shi-Sle-Pah Wilderness Study Area near Chaco Canyon. 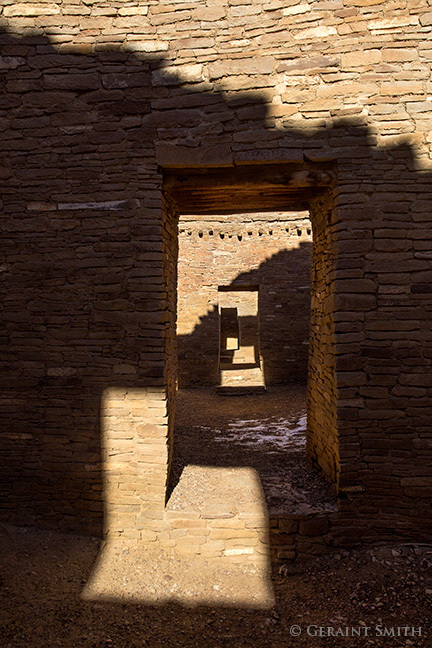 It was so quiet in Chaco Canyon at Pueblo Bonito. 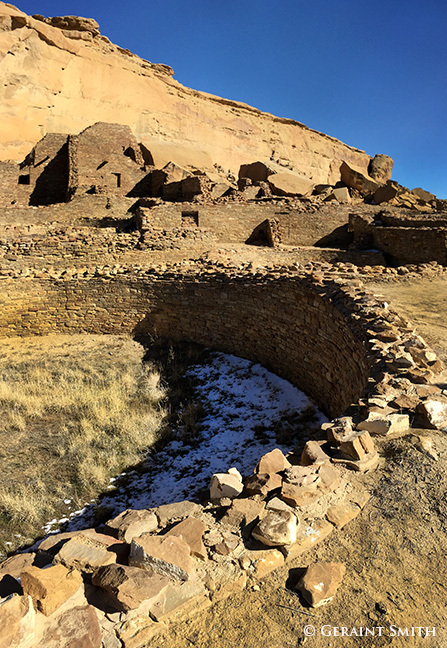 There are sounds and echos which may be interrupted by the wind or ghosts moving through the ruins or it could have been the sound of me waving, traveling around the walls of the great kiva. Thanks for looking. 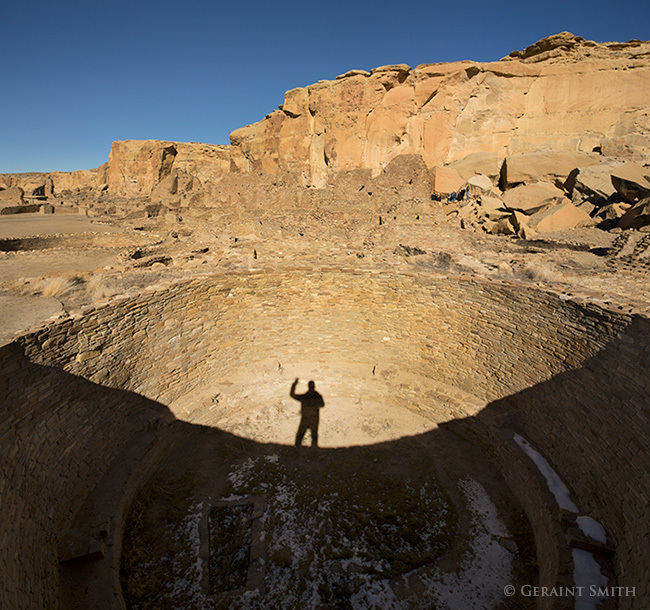 Getting close to some form of solstice alignment in Pueblo Bonito, Chaco Canyon, New Mexico. Windows, doorways and roofless walls. This morning in Chaco Culture National Historical Park at Pueblo Bonito.